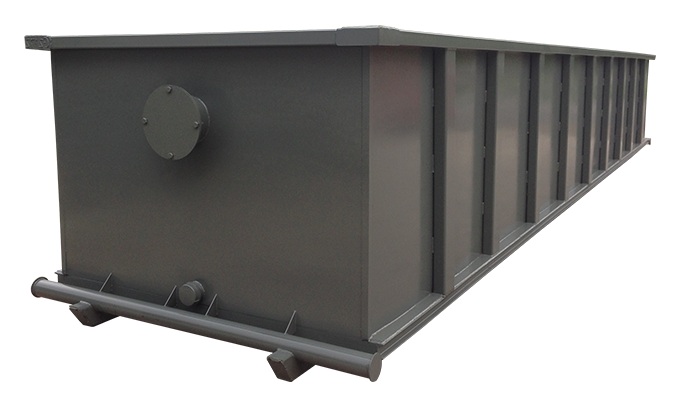 Used by the gas and oil industry, the mixing or cutting container is used to mix or store the liquid by-product of drilling (cuttings and mud) with other medium on site until it is solid and ready for landfill disposal. While they can be smaller, sizes usually range from 50 cubic yards (32 ft.) to 75 cubic yards (40 ft.). These containers are moved by skid bars, and may or may not have rear gates.